150+ IEC 61850 specialists and implementation leaders from around the globe convene in Berlin for a review of the most recent implementations. Now in its 5th edition the Phoenix Forums IEC 61850 Europe conference re-brands and attracts global participation. 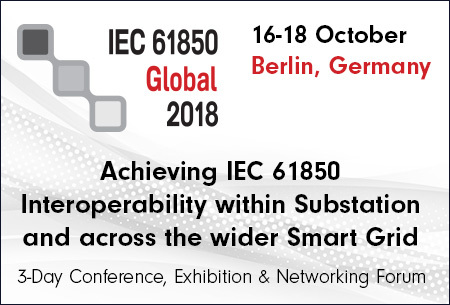 Taking place from 16 to 18 October 2018 in Berlin, Germany, the IEC 61850 Global 2018 draws together 150+ IEC 61850 specialists and implementation leaders for 3 intensive days of global utility implementation reviews. This year’s agenda assesses new approaches to achieving multi-vendor and multi-edition interoperability within the substation whilst identifying new ways to drive deployment of the standard across the wider smart grid. IEC 61850 has reached a tipping point, it is now fully accepted and on the investment agenda of the vast majority of European utilities. What’s been interesting this year is to see how fast utilities outside of Europe, particularly in the US and Canada, are starting to embrace it. IEC 61850 Global 2018 is the only truly end-user driven forum for the IEC 61850 community. It was launched to give voice to the utility community, to enable in-depth and honest discussions that would lead to new solutions and partnerships and ultimately faster deployments globally. As a result, this year’s programme reflects a more global participation, both on the speaker line-up and in the audience. With all global stakeholders convening in one place to review standardisation activity, share implementation experiences, identify new product development opportunities, and create new partnerships, take-up of the standard globally is set to speed up exponentially, creating economies of scale that will lead to more cost-effective deployments across the wider smart grid. IEC 61850 standards update: outlining the updates to edition 2.1 of IEC 61850-6 to address the challenges of interoperability and make efficient engineering in a multi-vendor, multi edition system a reality. Tendering and specification process: developing a new tendering and specification process to address the challenges of ensuring interoperability for multi-edition systems. Edition 1 to edition 2 transition: determining the optimum transition strategy from Edition 1 to Edition 2 depending on your current substation implementations. Engineering configuration tools: addressing current tool limitations and developing methodologies for configuring and testing different features of IEC 61850 functionality. Maintenance testing: successfully implementing testing tools to ensure effective operation and maintenance in a multi-vendor multi-edition system. Cyber security: ensuring cyber security in the implementation of feature rich multi-vendor multi-edition IEC 61850 that include GOOSE, MMS and other messaging. GOOSE messaging: IEC 61850 for GOOSE and R-GOOSE for messaging in the LAN and WAN. Beyond the substation: integrating IEC 61850 with data management systems and the CIM and extending its application to the control centre. IEC 61850 for DER: making the business case for using IEC 61850 as the communication protocol to effectively integrate DER into the power grid. The list of speakers confirmed. 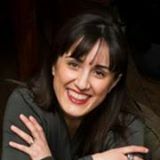 The Digital Substation editorial board pays our readers’ attention that the Very Early Bird rate for the event expires on 29 June and the Early Bird rate expires on 31 August. Digital Substation subscribers and readers can also receive a 10% discount to attend the conference with the promo code IEC-18-DIGITALSUBSTATION. The event begins on Tuesday 16th October with a Fundamentals of IEC 61850 workshop led by Christoph Brunner, convenor of IEC TC 57 WG 10. This will be an ideal opportunity for all participants to get to grips with the essential building blocks of the standard, update on its revisions and new editions, and to influence the direction of new standardisation activity. The main conference takes place on 17th October (the Day One programme) and 18th October (the Day Two programme) and involves an intensive programme of utility case-studies, new system and tool development panel discussions, a series of end-user focused round table discussions, two live demo labs of the latest tools and technologies, a display of the latest IEC-61850-enabled products and services, and an evening networking reception open to all participants. Optimisation of key features such as GOOSE and R-GOOSE will be addressed.